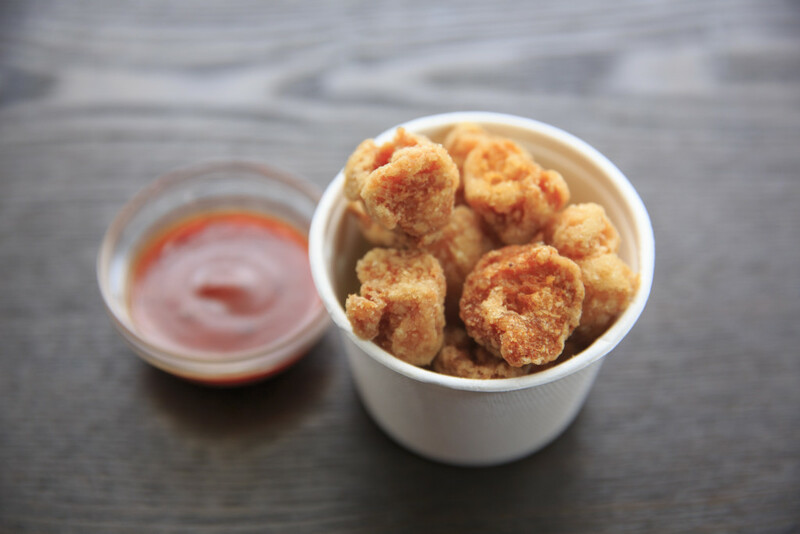 One of our favorite snacks at Roots cafe is the soy karaage. It’s tasty and nutricious, no wonder it’s popular. Soy karaage is actually soy protein or soy protein isolate. It is marinated in a classic Japanese sauce containing soy, sake, mirin. The coating is potato starch. Karaage is a Japanese cooking technique where small pieces of food are marinated in a mix of garlic, soy sauce and ginger, usually and lightly coated in seasoned flour. Then deep fried in oil. You can fry anything with this technique, not just soy protein. Copyright © 2019 Roots Cafe Hakuba.